The Marvel Chess Collection is a bi-weekly series offering the comic fan and chess lover alike the chance to collect a unique chess set, featuring some of the greatest and most loved Marvel characters. The Marvel Chess Collection consists of the greatest heroes and villains from across the Marvel Universe. 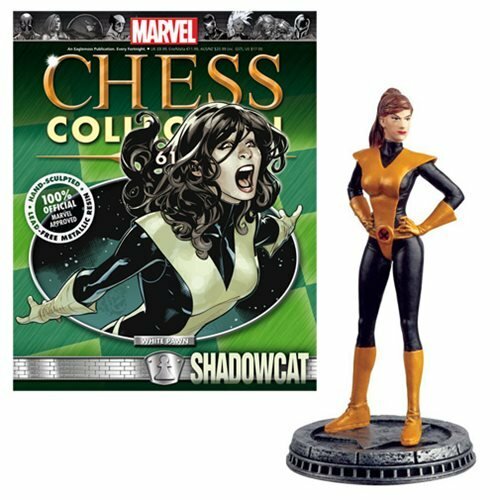 This #62 Shadowcat White Pawn Chess Piece comes with a detailed collector magazine and comes in a polybag. Kitty Pryde measures about 5-inches tall. Ages 14 and up.